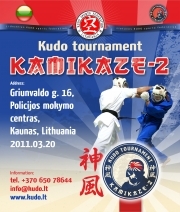 Lithuanian Kudo Federation held summer camp in Alytus district, Daugai. June 26. 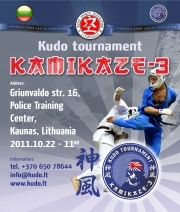 Important event took place in Kaunas. 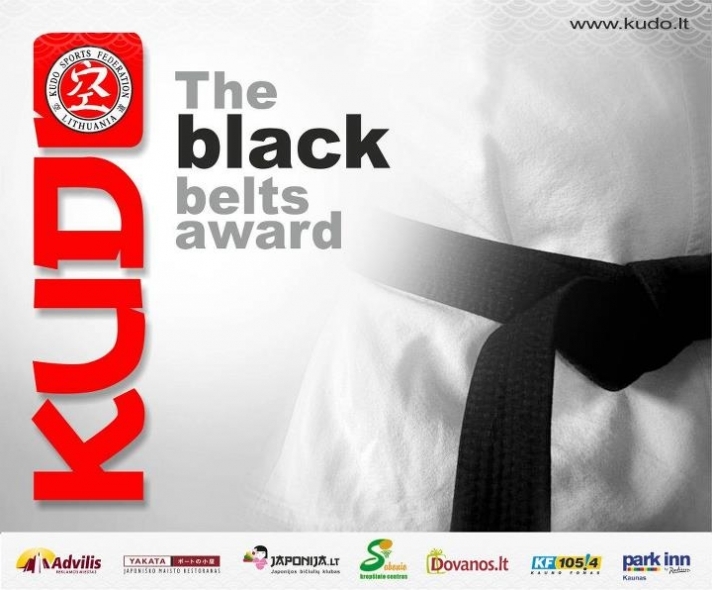 Lithuania Kudo sports federation black belts award. 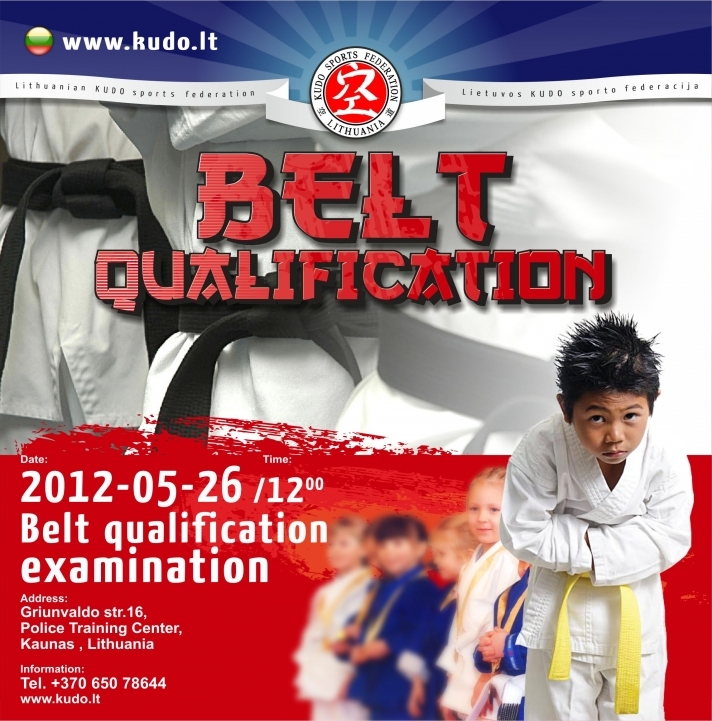 On May 26, Lithuanian Kudo Federation has committed one of the most important year plans - belt certification exam. In this exam participated 130 athletes from all Lithuanian clubs. 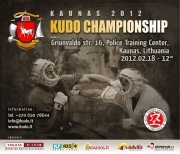 This weekend was a huge event in Lithuanian KUDO federation history. 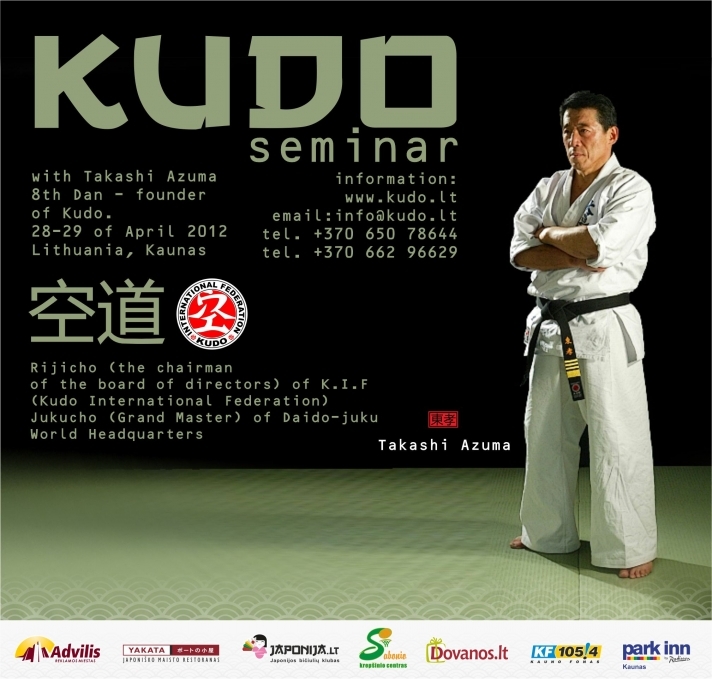 8 DAN, KUDO master and founder Sensei Azuma Takashi had visited our country. 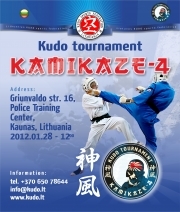 This weekend was a huge event in Lithuanian KUDO federation history. 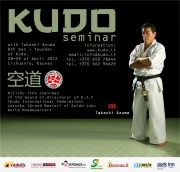 8 DAN, KUDO master and founder Sensei Azuma Takashi had visited our country. With him had come his wife Keiko Azuma and Japanese delegation: Shimizu Kazuma, Kozaki Kazuhiko, Kamiyama Nobuhiko and France KUDO federation president – Shinya Tsuchida. 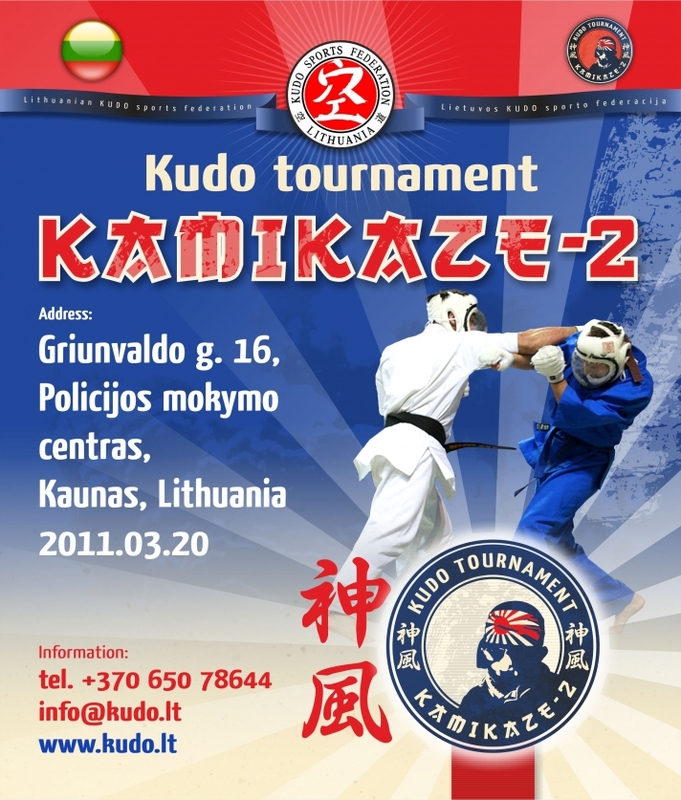 The participants were Lithuanian Kudo federation's club members and guests from Kaliningrad. This event was different from others because there were less participants, but they were more experienced. 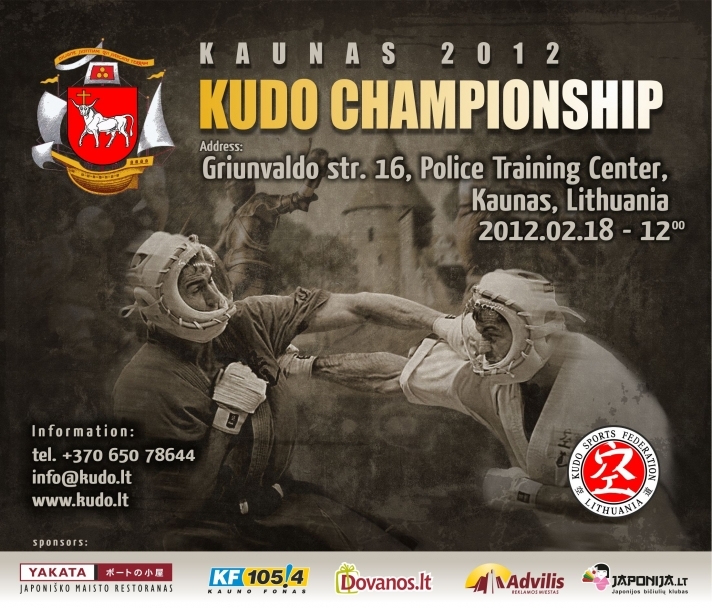 Congradulations to all the fighters and good luck in the future seeking achievement in Kudo! Osu! 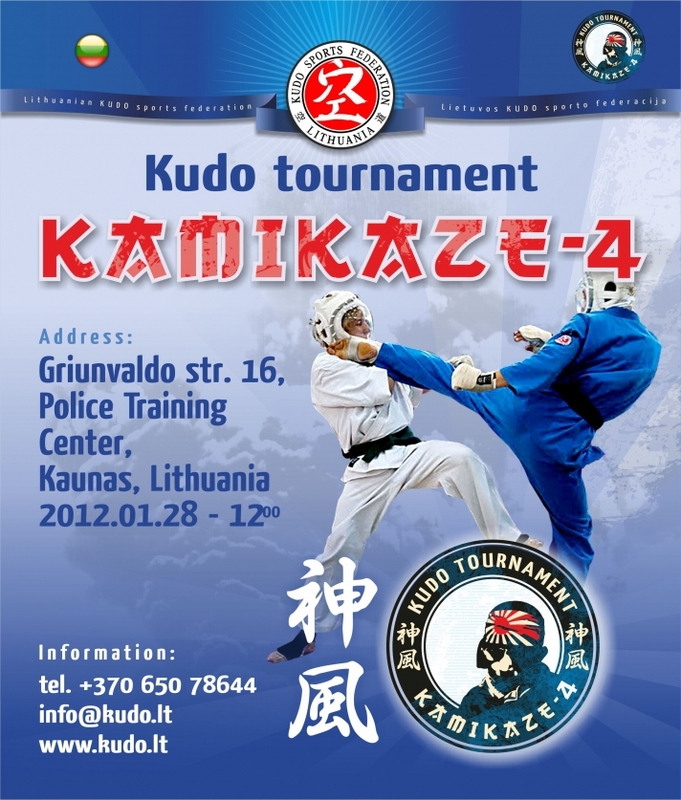 On the 28th of January the fourth Kamikaze tournament was held. 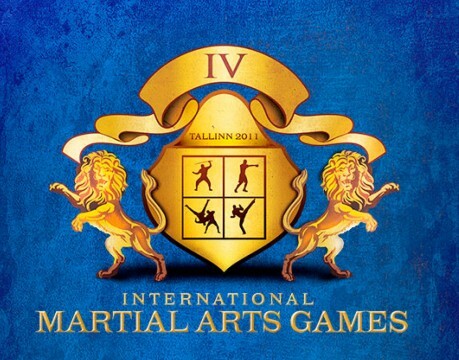 More than 80 athletes participated in this event from all Lithuanian clubs: Cunamis, Grizlis, Fight Academy, Hidza, Tonusas, Adrenalinas, Faiteris, also guests from Kaliningrad and Latvia. The biggest delegation at the event was from the Cunamis club. Fighters competed in two types of fights - Sumo and Kudo rules. The fighters have shown strong character and courage. Good look in other tournaments! Annual belt qualification/examination was held on the 18th of December. 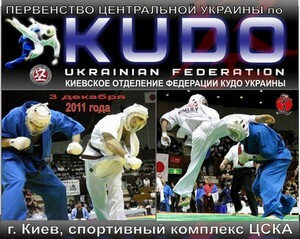 Lithuanian Kudo federation's team had an amazing performance at the Open Central Ukraine Kudo championship on the 3rd of December in Kiev. 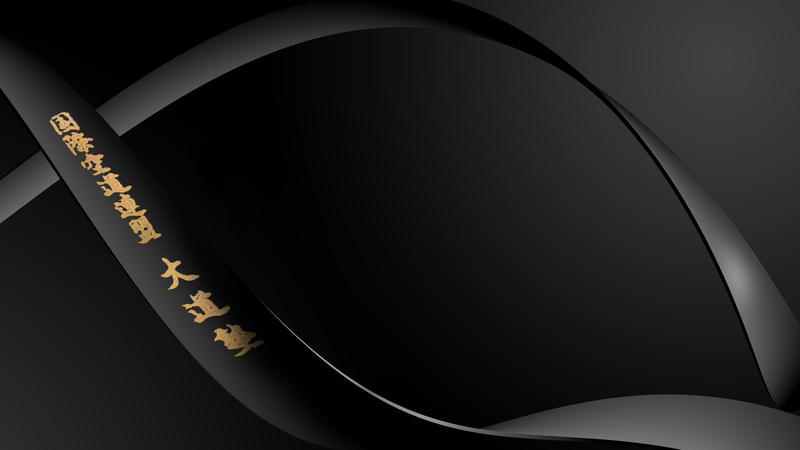 The federation was represented by these clubs: "Cunamis", "Tonusas", "Ukmerges fight club-Cunamis". Vilius Tarasevičius, Nauris Lukošiūnas, Teodoras Aukštuolis became champions. Rokas Bučas won 2nd place and Tomas Aleksandravičius won 3rd place. This tourmament was held on the 22nd of October. 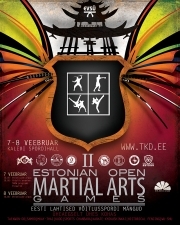 On the 29th of May, belt egzaminations took place in Kaunas. 2011-03-21 - Kudo tournament "Kamikaze-2"
On the 20th of March, the second Kudo tournament "Kamikaze" was held. 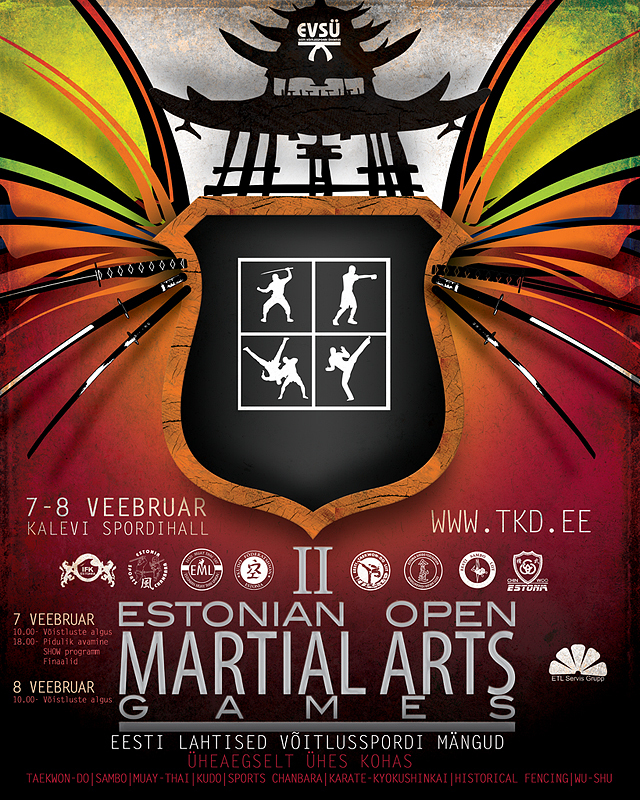 Traditional martial arts festival held in Tallinn combines a big variety of martial arts. 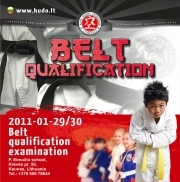 Such as taekwondo, muay-thai, pankration, judo. Kudo is no exemption. Our federation was represented by two fighters fron "Cunamis" sport club - Nauris Lukošiūnas and Sergej Anisimenko. 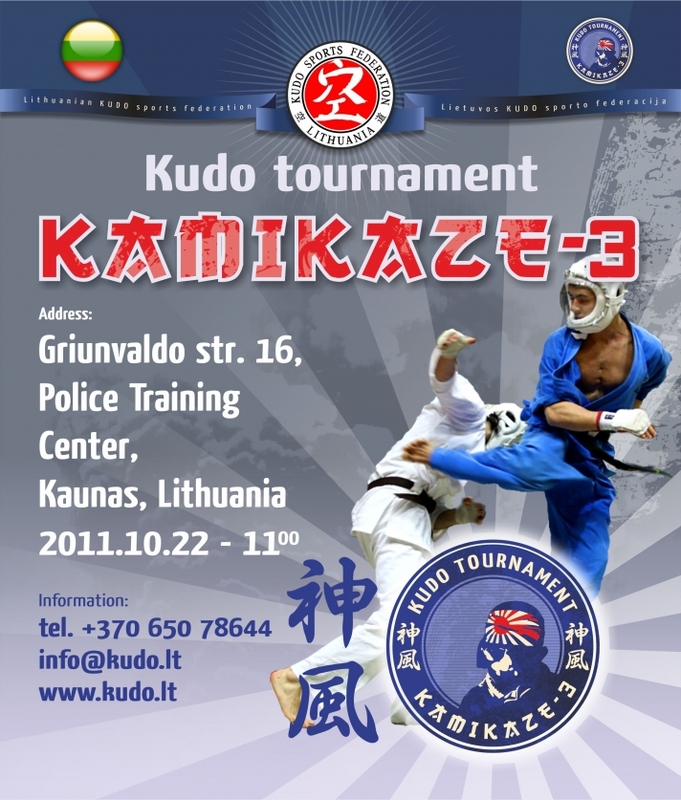 Estonian and Russian fighters were also participating in the Kudo division. Nauris won the 1st place and Sergej won 2nd place. Congradulations to Tomas Šviažas and his coach Ilgaras Gružinskas with the 3rd place in Kudo World Cup! 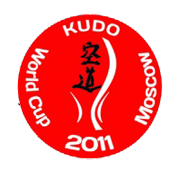 This year, on the 19th of February, our fighters Jogaila Šlekys, Paulius Žitinevičius, Igor Nebaraka ir Tomas Šviažas participated in the Kudo World cup, which was held in Moscow, Russia's capital city. Jogaila and Igoris lost their first fights by points, Paulius succesfully won 2 fights, but lost the third one to Russia's fighter, world kudo champion and the winner of this event in his category, Šamil Abdulkerimov. Tomas lost in the semifinals also against a Russian fighter, world kudo champions and the winner of this event in his category, Jurij Panov. On the 29th and 30th of February, belt qualification exams were held in Kaunas. Winter time belt examinations were held in Lithuanian Kudo Sport Federation's clubs. 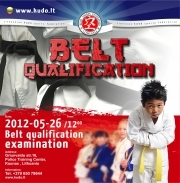 Begginers and higher level athletes tried to raise their qualifcation level. We congradulate all those who succesfully done that! Next examination will be in May 30 in Kaunas and all fighters from all of the clubs will be examined together. 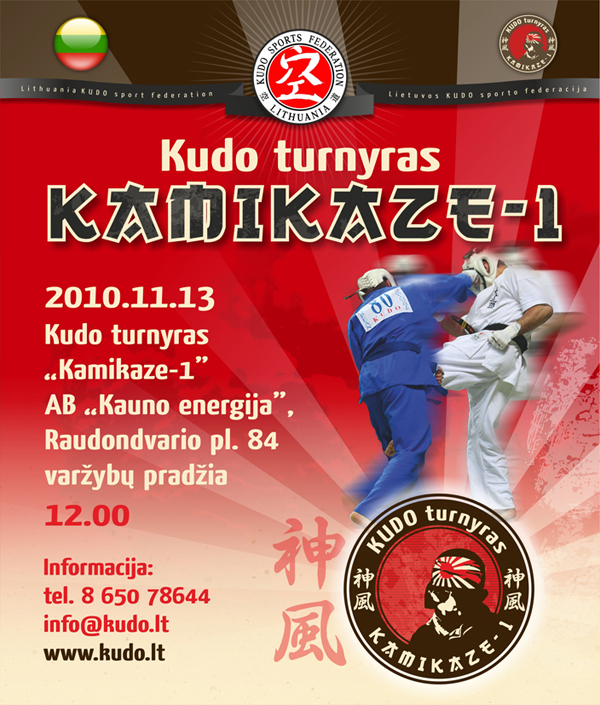 2010-11-13 - Kudo tournament "Kamikaze-1"
More than 120 athletes showed their skills during the tournament. Since this tournament was so popular, there will be another won in the near future. On the 14th and 15th of February, in Japan's capital city - Tokyo, the third world kudo championship was held. Tomas Šviažas from sport club "Cunamis" in 270 category won the bronze medal. On the way to the finals, Tomas won against Jalil Yaguoubi from Iran, Pedro Madureira from Portugal and five time kudo world champion Inada Takuja, but because of an old knee injury, Tomas couldn't continue to fght against Russian athlete Aleksandru Vinogradovu, whom won the silver medal. Other lithuanian fighters also showed good fighting skills. Paulius Žitinevičius (sport club "Cunamis") in the category 240 won two fights and Ukmergės fightclub member Tomas Putinauskas in the category 260 won one fight. 1. Bernardas Vaištoras - s.k. "Voras"
2. Marius Čiupkevičius - s.k. "Cunamis"
3. Dalius Kšivickas - s.k. Cunamis"
1. Nauris Lukošiūnas - s.k. "Cunamis"
2. Kasparas Narakas - s.k. "Cunamis"
On the October 17-18th, in Bulgarian city Stara Zagora, Open Balkan Kudo championship was held, which attracted athletes from Russia, Japan, Estonia, Hungary, Serbia, Greece and Lithuania. Our country was represented by sport club "Cunamis"'s fighter - Paulius Žitinevičius. Tournament's guest of honnor was KIF president, 8th dan Grand Master Azuma Takashi. Paulius was competing in 240 category and became 1st place winner. In the first fight he had to fight against Bulgarian athlete Martin Dimitrov, and Paulius won this match convincingly. Second fight was won by points agains Serbian fighter Velimir Krstič. In the final, third fight, our athlete performed an arm bar and won the fight against anothet Bulgarian fighter - Ivan Manolov. 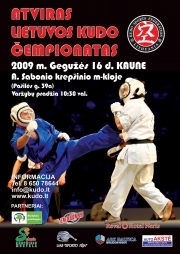 The 5th Open Lithuanian Kudo championship was held in A. Sabonis baskbetball center in Kaunas. There were fighters from Russia, Estonia, Latvia, Poland and of course from Lithuania. 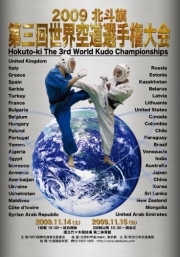 Championship's guest of honnor was Russian Kudo federation's president, 5th Dan master Roman Anashkin. Tournament was open for all age groups. After the tournament there was a seminar during which our federation's trainers and athletes were able to defend higher level belts. 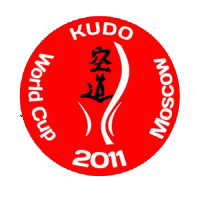 Russian Kudo federation's president rated our federation athlete's preparation as in high level. Also, cooperation plans and other questions were discussed with Lithuanian Kudo federation's president Ilgaras Gružinskas.